The aim of this article is to examine how music can represent Hiroshima, the first city in the world to be attacked by an atomic bomb. The Finnish composer Erkki Aaltonen’s Second Symphony Hiroshima (henceforth Hiroshima Symphony) is focused on as a case study. Composed in 1949, only four years after the atomic bombing, this symphony seems to be the first pure instrumental composition among more than five hundred musical works representing Hiroshima. This article discusses the musical expression of this symphony to represent Hiroshima from the viewpoint of musical narrative. The first chapter defines, classifies, and points out the general trends of the musical works related to Hiroshima composed during the half century from 1945 to 1995. The second chapter overviews Hiroshima Symphony focusing for the most part on the structure of the composition explained by Aaltonen himself. The Chap. 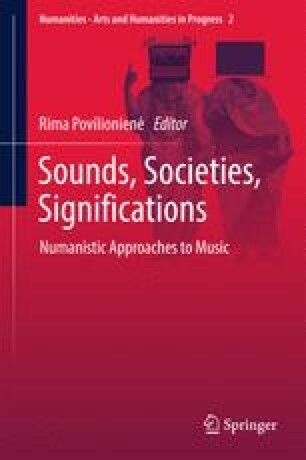 3 consists of an analysis of the music from the perspective of musical narrative and reveals that the story of Hiroshima is narrated by the music itself not only by using the conventional programmatic techniques but also through thematic transformation throughout the work.